Some of my food creations I did few months back. 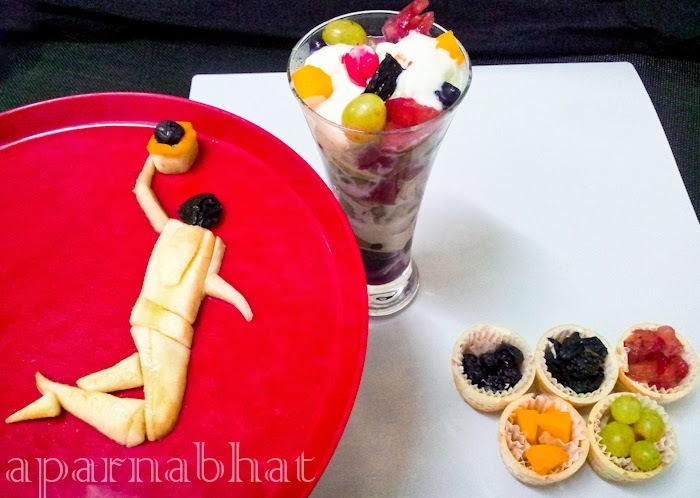 A creative dessert here with fruit salad and vanilla ice-cream. Fruits used are blueberries, black dried prunes, watermelon chunks, cherries, peaches, banana and green grapes. I presented this dish based on theme of Olympics 2012 held in London. Olympics logo for basket ball sports made from banan slices, peach slice and prunes. Olympic rings made from ice-cream cone baskets filled with respective colored fruits. Smoky eggplant, tomatoes, corn, black olives, grilled capsicum tossed in olive oil and drizzled with Italian dressing. You can see the Olympic fever continued to present this dish too. 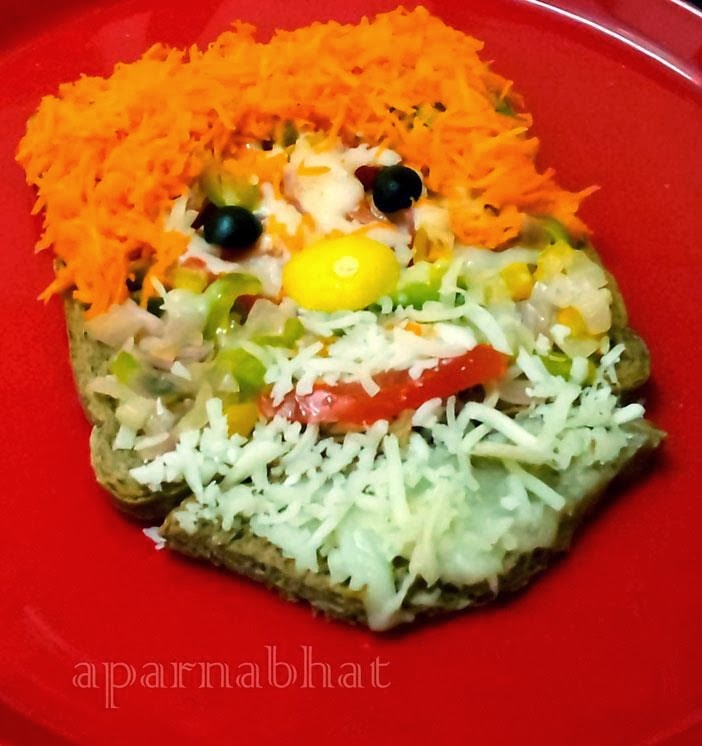 A slice of toasted bread with sauted capsicum onion mix and cheese, later topped with shredded carrot, black olives, tomato slice, and lemon wedge. The above sandwich was designed to look like Mr. Clown. 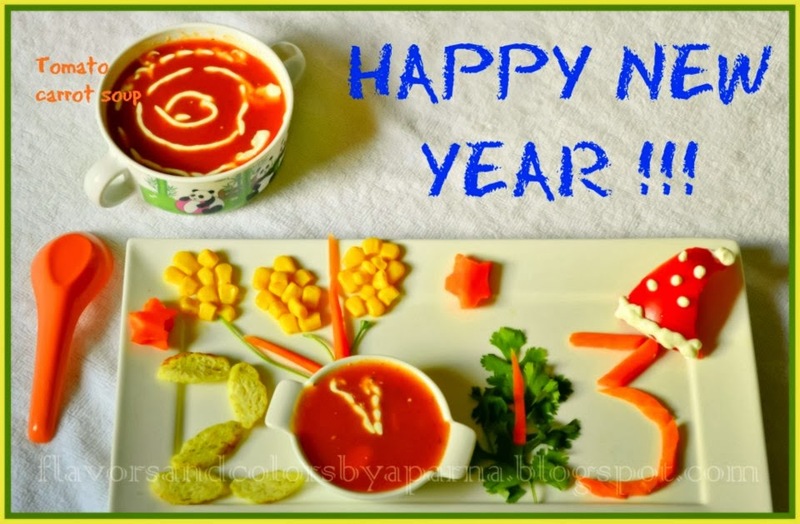 Ingredients used to prepare the above soup has been plated in a way to welcome the new beginning, new year 2013 amid chilly weather. Hope you enjoyed above creations !! !